Modern fin keel, skeg rudder, 3-bladed folding prop. A seaworthy vessel designed for extended cruising. 35-hp Volvo diesel w/100-gal tank. Commissioned/documented '86. 8' Whitehall sailing dinghy. Slip at Portsmouth Naval Shipyard, Kittery, Maine (across from Portsmouth, N.H.). 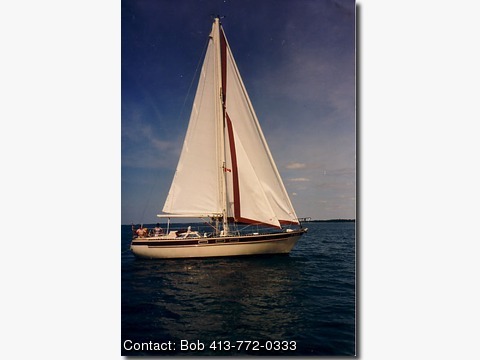 Inventory and photos@sailboat9.tripod.com Reduced price $165,000.